We are really excited to be partnering with the FinTECHTalents festival this November to produce RegTECHTalents. Conferences that were great in 2017 dwindled to being average in 2018 and new conferences followed the trend in 2018 to become awful in 2019. So we sought out people who think differently about the reason to hold a gathering. People who really understand why you would give us 1, 2 or 3 days of your life to attend. 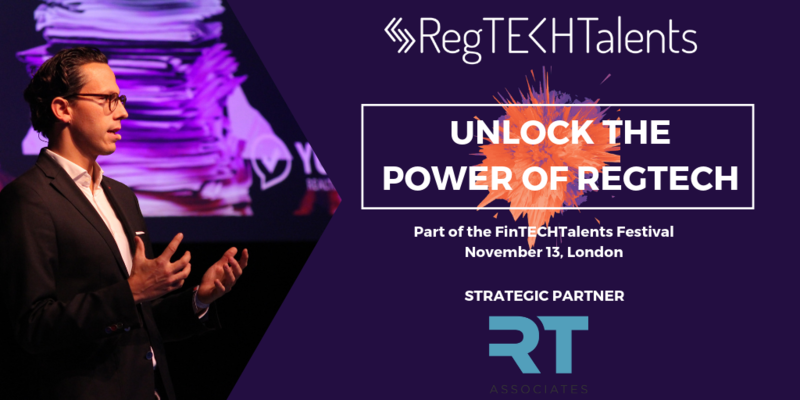 RegTECHTalents is the only global forum in the RegTech industry focussed on creating a meaningful dialogue aimed at improving the implementation of Regulation Technology. Join 200 founders, buyers, industry experts and innovators as they turn talk into action. There are so many reasons to be involved (we mentioned the music and beer, right?) and we’ll be giving you more by way of news and updates as they happen.